The familiar images of the Tour de France. The flowers, trees, familiar signs, road furniture, farmlands, farm animals, churches, chateaus, mountains and country flags. These are the images that instantly tell you this is the Tour de France, Stage 11 of the Tour de France had them all. The fields of sunflowers were spectacular as I drove through the region north of Toulouse last year in France. No wonder Vincent Van Gogh was so overwhelmed with them upon his arrival from Holland. I remember Ron Keifel telling a story that the riders in the tour never get to see the glorious scenery they are riding through, but somehow the photographers always include a sunflower image with riders in the fore or background every year. There are 5 varietals in the French sunflower crop. A little history (by Maria A. Grompone): Starting from Spain, sunﬂower crops spread rapidly through France and Italy, and toward the north and east of Europe. In several regions, it was a source of smoking leaves, ﬂowers for consumption in salads, or for the manufacture of paint, edible, and medicinal seed, and cooking oil (and bird seed), . . . the name of the genus, Helianthus, derived from the Greek helios meaning sun and anthos meaning ﬂower; and its Spanish, English, French, and German words: girasol, sunﬂower, tournesol and Sonnenblumen. 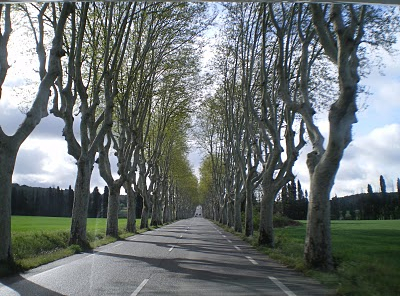 I get a bit creeped out driving in France through the roads lined with plane trees (Platanus). These trees are killers. They are basically speed control in the countryside. 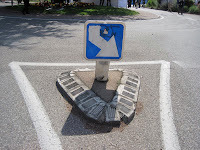 They look nice, add charm, are quintessential France, but black cut out human silhouette markers line the roadside marking where human fatalities have occurred. The plane trees of France are actually Sycamore trees. Every time I drive through the plane trees I wonder WHO planted all these trees, and why is there a need to keep autos cool? Well obviously they were planted well before the cars came. Just as Napoleon was responsible for many of the roads in France, he too was also responsible for the idea of planting the plane trees that line the roads in southern France. The purpose was to keep his troops cool while passing through. The trees grow rapidly and need little water. France's largest plane tree is located in Occitane in the town of Saint-Guilhem-le-Désert, the oldest tree was planted in 1797, and is in Bayeux, Normandie, France. In 1906, Eugene Henard, the Architect for the City of Paris, proposed a gyratory traffic scheme (roundabout, traffic circle) for some major intersections in Paris. In 1907 the Place de l'Etoile became the first French gyratory, followed by several others built in 1910. 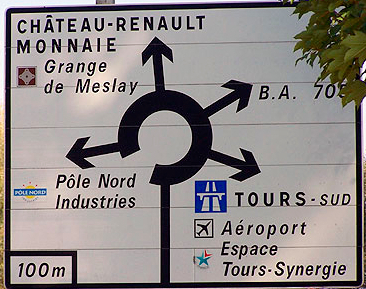 France has more than 30,000 roundabouts as of 2010. 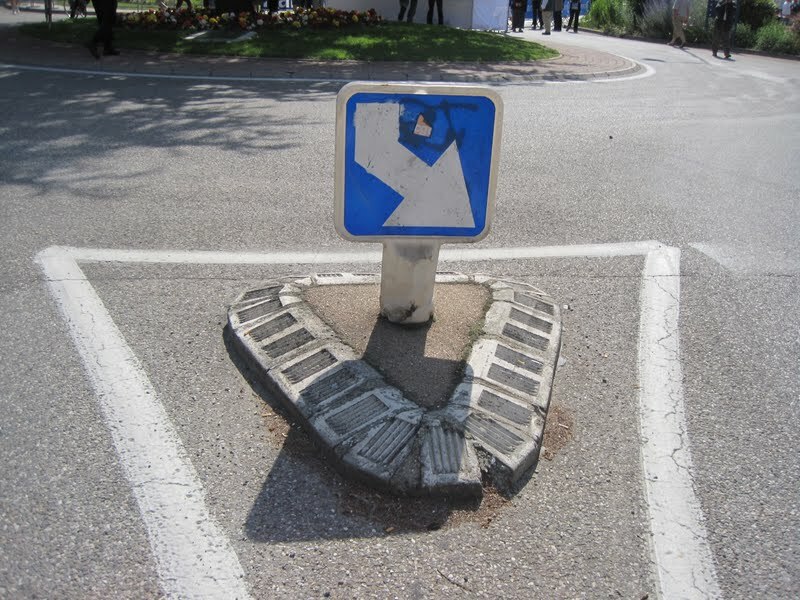 These are tricky on a bicycle, and cause havoc in the peloton. 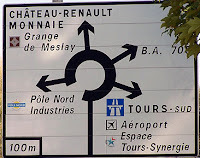 More pictures to understand the roads signs in France. Three-fifths of the land in France is used for farming. There are over 730,000 farms in France, approximately 7 percent of the workforce is employed in agriculture or similar sectors. The French began producing wine in the 6th century B.C. France has the world's second-largest total vineyard area, behind Spain, and is the world's second largest producer of wine, behind Italy. The wine regions of France are Alsace, Bordeaux, Bourgogne, Beaujolais, Champagne, Cognac/Charentes, Côtes du Rhône, Jura, Languedoc, Loire Valley, Médoc, Bordeaux / Saint Emilion, Bergerac, Cahors, Gaillac and Marcillac, Côtes du Tarn, Vin de Pays du Lot, Côtes de Provence and Côteaux d'Aix. See a map of the wine regions in France. I love the rose from the Navarra Spanish/French area of the Pyrenees. Free-range is a method of farming husbandry where the animals are permitted to roam freely instead of being contained in any manner. In France, close to 40% of all fresh chicken sold in supermarkets and butchers shops is free-range. I am uncertain the number of free-range cattle, but they are seen everywhere in fields and on the roads - sheep, cows, horses, and goats, only the bulls seemed to be fenced in. No wonder we see the animals roam onto the roads during stages of the Tour de France. Catholicism is the primary religion in France (64%), although less than 5% go to church regularly on Sundays. Saint-Pierre-aux-Nonnains basilica, in Metz, France, is the oldest church in France built between 380 and 395 AD. There are over 40,000 churches in France. For anyone else who has arranged a hotel stay within a block of a church, and listened to the church bells chime all night long, you would think there was a church in every town. 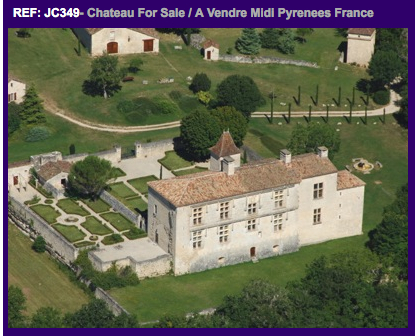 Land rich and cash poor, these old Châteaus are very expensive to maintain, they have been held in families for years and are a mix of burden and pride to the French. They look incredible from aerial camera shots, filled with old tapestries and furnishings, some parts of the buildings are rarely used. Some operate productive lands (terres), while others have been turned into hotels, or lay boarded up, waiting out the years quietly. Mountain are the reason why the Tour de France is so legendary. Whether on a bike, hiking, rafting, or enjoying the views, the Pyrenees are spectacular. Here is the official Le Tour geology lesson on the Pyrenees: Through the Geologist's eyes and the official Pyrenees promotional film. These are some of the flags you will see along the roads, held by fans in the Tour de France: the flags of France, Basque, Spain, Luxembourg, Holland, Belgium, Flag of Flanders (Dutch-Belgian), Flag of Wallonia (French-Belgian), United States, Norway, Australia, Great Britain.